In this re-mastered lecture from 1989, Stuart Hall provides an extraordinarily clear summary of the origins of cultural studies. Hall discusses the founding of cultural studies at the University of Birmingham, the field's baseline concern with issues of symbolic representation and power, and how cultural studies ultimately gained an institutional foothold at the "frontiers of intellectual and academic life by testing the fine line between intellectual rigor and social relevance." An excellent introduction to Hall's work, and to the broader social, political, and economic concerns that have shaped cultural studies. 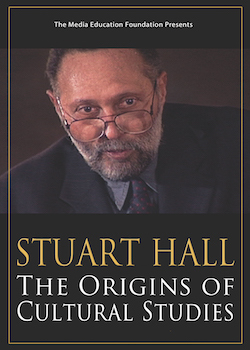 Stuart Hall was a leading figure of the British left over the past thirty years and a visionary race theorist who made profound contributions to the field of cultural studies at the Center for Contemporary Cultural Studies at Birmingham University. His work has made possible multiple conversations taking place around questions of culture, race and ethnicity.